Your support is greatly appreciated! If you selected to be a gold or silver supporter, we'll be contacting you soon about how you would like to be recognized. Please feel free to post feedback in the comments section below. We'll keep you posted if we launch any new episodes. Requires a modern computer. Experimental. Rats! It looks like your browser does not support WebGL. Use the video version or try anyway. The suggested ticket price for watching the film is $2.50. Your support will help us develop the project and create new episodes. Gold supporters will have the option to be listed in the final credits of the film and on the website. Silver supporters will have option to be listed on website. If you would like to contribute a larger amount as a tax-deductible donation, please contact us. The Fallen of World War II is an interactive documentary that examines the human cost of the second World War and the decline in battle deaths in the years since the war. The 15-minute data visualization uses cinematic storytelling techniques to provide viewers with a fresh and dramatic perspective of a pivotal moment in history. The film follows a linear narration, but it allows viewers to pause during key moments to interact with the charts and dig deeper into the numbers. The film was written, directed, coded, and narrated by Neil Halloran. Original music and sound design was created by Andy Dollerson. Editorial feedback and technical consulting by AlteredQualiea. The soundtrack is now available on Bandcamp. 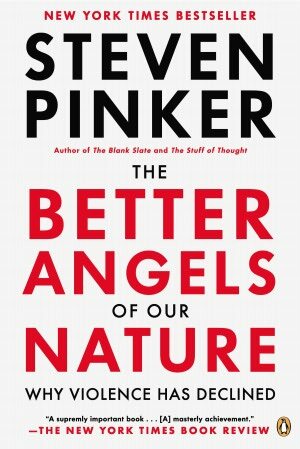 Inspiration and sources for the final segment of the film came largely from Steven Pinker's The Better Angels of Our Nature. Viewing the interactive version on fallen.io requires a relatively new computer and a modern web browser. Most mobile devices will not play the piece properly. If the frame rate is choppy or if you are having other technical problems, we recomend viewing the video version instead, which is hosted with Vimeo. To view the video version on a television, you can use Vimeo to stream to your Apple TV, Chromecast, Roku, Fire TV, and any other devices that can play Vimeo videos. Just search for "fallen.io". The data set that drives this visualization will continue to be updated, and we are always looking for volunteers. Much of the underlying sources are similar to those listed in the World War 2 Casualties Wikipedia Article. For itemized list of data entries, you can view the Google Fusion table. Post-WWII statistics were sourced from the The Uppsala Conflict Data Program (UCDP). Depending on how much interest is generated from this pilot episode, we would like to continue this project as a series. Future episodes would explore other trends of war and peace - from drones and terrorism to democracy and peacekeeping.